Our service range includes a wide range of plc & scada systems, mitsubishi-fx3s-plc system, panel pc and mitsubishi plc systems. We deal in PLC and SCADA Systems. Extensive gamut includes scada systems, hmi scada systems that is used for the purpose of data acquisition and control at the supervisory level. The range of plc scada systems that we offer consists of input and output hardware, hmi, controllers, networks, communication and required software. Control and Solutions offers scada control systems, scada temperature control system, scada hmi systems, hmi scada systems and industrial scada system. All in one with Touch Panel Computer (PPC / TPC). 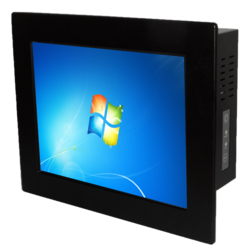 Panel PC is with IP65 front touch screen and rich I/O. Suitable for mounting on panels with less space. 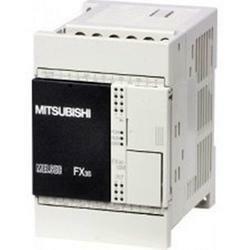 It is now over 30 years since Mitsubishi Electric launched the first compact PLC on the European market. Since then Mitsubishi has become the world market leader in this sector, with over 10 million of its compact controller installations to its credit. With their compact dimensions and low cost compact controllers have opened up new perspectives in industrial automation. Many applications for which automation was once not even an option can now benefit from the many advantages of these controllers.